2015 has to be the year of recent times for the emergence and expansion of domestic air services. Key to from a regional point of view this was Air New Zealand's withdrawal from Kaitaia, Whakatane and Westport and other provincial services. This saw expansion for Great Barrier Airlines (that later rebranded itself as Barrier Air), Air Chathams and Sounds Air. 2015 also the emergence of new airlines - Originair, Kiwi Regional Airlines and the short lived North Shore Air. Then the final chapter of the year was Jetstar's entry to the regional market. But there were other events in the year as well, perhaps the most significant was the cessation of the Boeing 737 from service with Air New Zealand. Great Barrier Airlines commences Kaitaia-Auckland service using Piper Chieftains. 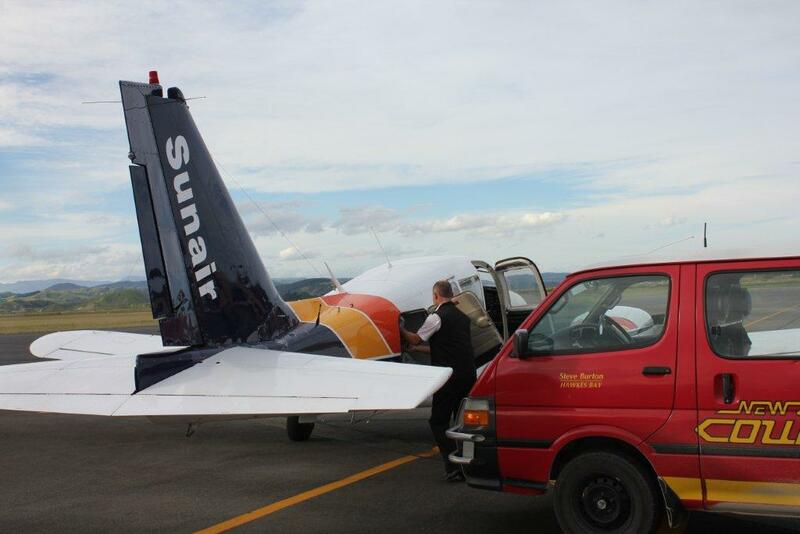 Sunair offers twice weekly service from Great Barrier Island to both Hamilton and Whangarei. Whakatane included as destination on flights to and from Gisborne and Napier. The last of New Zealand's bank data courier flight was flown... Previously Air Napier flew bank data between Gisborne and Napier and Sunair flew it from Napier to Hamilton. This freight is now carried on Air New Zealand flights. Sounds Air's first departure from Taupo to Wellington on 2 June 2015. Pilatus PC12 ZK-PLZ. The Boeing 737 departs from the Air New Zealand fleet... ZK-NGI departing Auckland on 21 September 2015 operating a positioning flight, NZ1737, to Christchurch bringing an end the national carriers long history of operating Boeing 737s on domestic services. Kiwi Regional Airlines begins Dunedin-Queenstown services. The same day the airline announces a reduction of frequency on this route from 14 flights per week to two. Four times a week Dunedin-Nelson-Hamilton services began on 28 October 2015. Airwork introduces Boeing 737-400 ZK-PAK to its fleet. This is the first of three Boeing 737-400 freighter aircraft which will be used by a Joint Venture company formed by Fieldair Holdings and Airwork Holdings that will replace the airfreight service currently performed by Air Freight NZ's Convairs Airwork's Friendships. Boeing 737-400 arriving into Christchurch on its first flight. I hope you've enjoyed 3rd Level New Zealand this year. A BIG THANKS to all those who have sent through photos and alerted me to local news in your area. It is getting harder to find what is happening regionally so I have really appreciated tip offs on recent news. THANKS also those who have added interest to the site with your comments and those who have sent through corrections to counter my poor proof reading. Also a HUGE THANKS for the airlines who have sent me press releases and news with what's happening with your company. I hope you've got a few new punters from what I have posted! THANKS also to all those who follow the blog and have sent emails of appreciation. Te Paepae o Aotea (Volkner Rocks) The smallest of the Volkner rocks was formerly used as a bombing target by the Royal New Zealand Air Force.